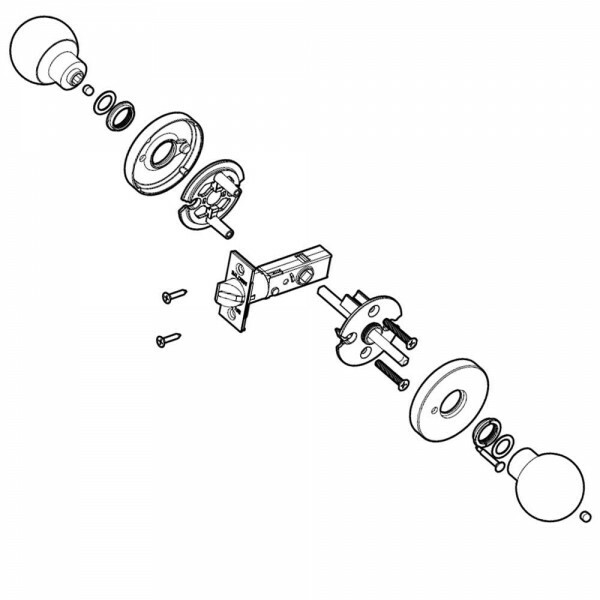 A preconfigured privacy knob set from the Baldwin Estate portfolio including Baldwin 5025 Egg Knobs on the Baldwin 5002 rose. 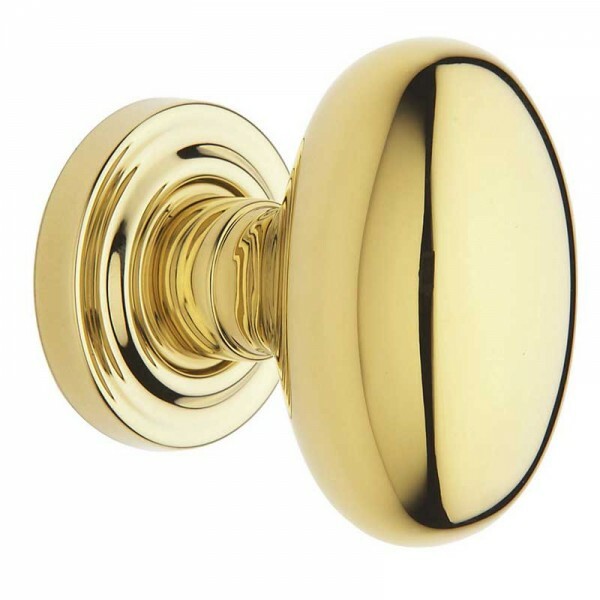 The Egg knobs are made from solid forged brass and finished and polished by hand. 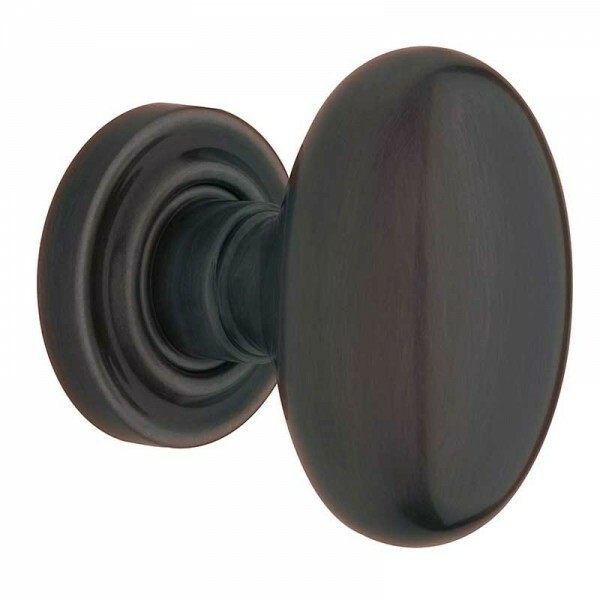 This privacy knob set is supplied with a pair of knobs and a tubular latch. 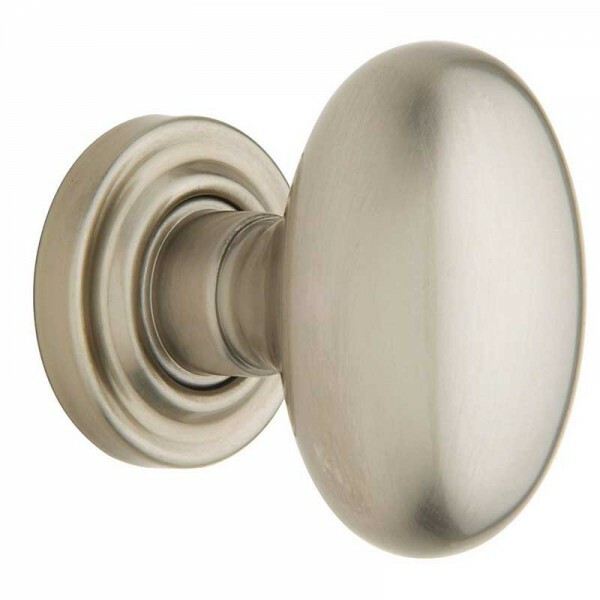 A privacy knob is best used in interior bedroom and bathroom applications where privacy is required. The outside knob is locked by the turn button inside. The outside knob can be unlocked by an emergency key.